Padang style chicken curry, is reminiscence of my younger years, thanks to a Padang food stall in my campus that I frequented more often than I'd like to admit. Give me a plate full of this, and somehow I'm transported back to that humble place, having lunch, books on the table next to me, and friends all around me arguing about mundane things. I miss those moments. And I miss those people. But memories aside, this spicy and aromatic curry has been and will always be my favorite. The spices make it uniquely Indonesian, combined with the fiery chilies to give it a personality that's undeniably of Padang cuisine. Serve with hot steamed rice and sprinkle with some fried shallot, if desired. Place the first 6 ingredients in a food processor and pulse until they turn into paste. Heat the oil in a large skillet over medium high heat. Add paste into the hot oil, along with lime leaves, lemongrass, turmeric leaf, and galangal. Cook until fragrant and golden, about 5 minutes. Add coconut milk and tamarind pulp into the skillet, stir to combine. Bring the coconut milk to boil, reduce the heat to medium-low. Add chicken pieces into the skillet, season with sugar and salt. 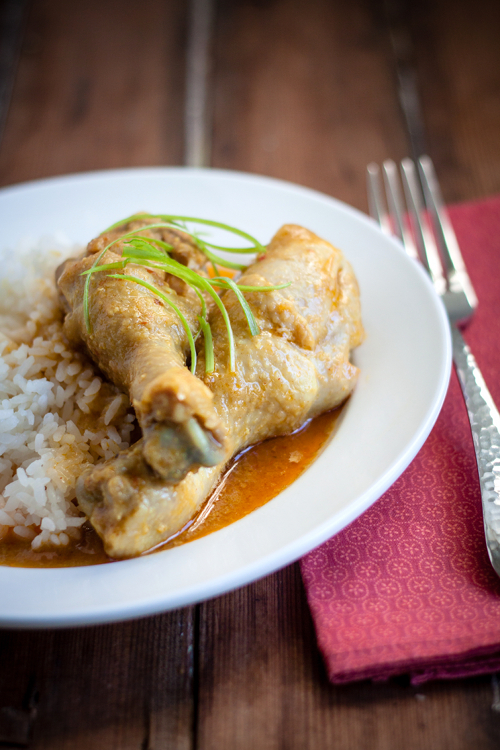 Cook until the chicken is cooked through (internal temperature reaches 170 degrees F), and the sauce thickens. Serve hot over rice. ini broiler atau free ranged mbak? 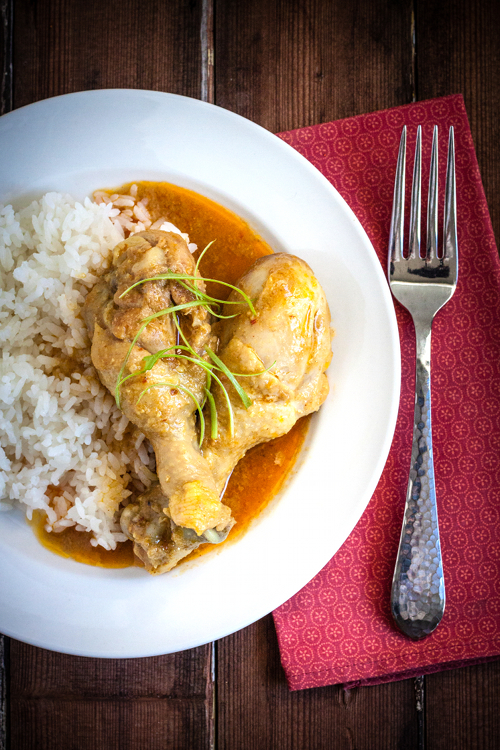 A simple and very tasty curry! Looks yummy. Will definitely try this tonight. In fact all your recipies are awesome. Check out England Vs Russia live streaming the fourth game of Euro Cup 2016. This is going to be one of the greatest matches for sure.